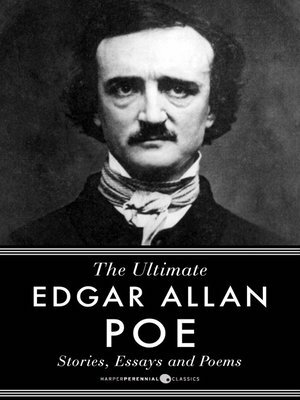 The Ultimate Edgar Allan Poe: Short Stories, Poems and Essays is a celebration of Edgar Allan Poe' s extraordinary literary legacy. Spanning poems from his earliest days to his macabre and mysterious short stories to scholarly essays on such diverse topics as the English language and furniture, this ultimate collection includes works like " The Raven, " Annabel Lee," " The Masque of the Red Death," " The Murders in the Rue Morgue," " The Philosophy of Composition," and The Narrative of Arthur Gordon Pym of Nantucket. One of the best-known American writers, Edgar Allan Poe' s writing influenced the American Romantic and French Symbolist movements in the 19th century, and continues to inspire modern readers and writers alike.